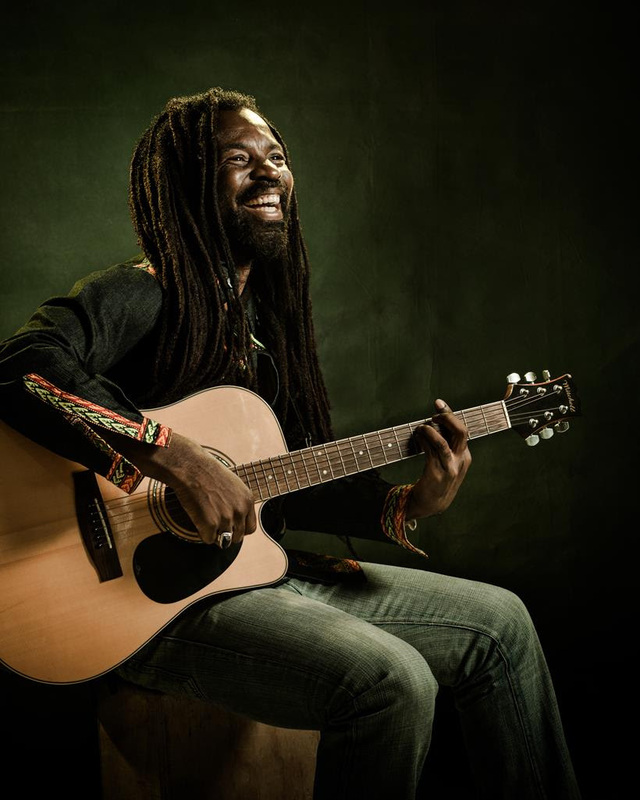 International music star and humanitarian activist Rocky Dawuni straddles the boundaries between Africa, the Caribbean and the U.S. to create an appealing sound that unites generations and cultures. With an easy-going charisma and reputation as a dedicated champion of social causes, Dawuni’s infectious grooves and dance-inducing anthems have consistently excited fans across the globe. A galvanizing performer, Dawuni has shared the stage with Stevie Wonder, Peter Gabriel, Bono, Jason Mraz, Janelle Monae and John Legend, among many others. Named one of Africa’s Top 10 global stars by CNN, he has showcased his talent at prestigious venues such as The Kennedy Center in Washington. Dawuni’s eloquence, cultural diplomacy and successful melding of music and activism have led him to become a passionate spokesperson for various global causes. He has joined forces with Product (RED), UNICEF, the Carter Center, and the UN Foundation. He has worked on campaigns focused on Guinea worm eradication, environmental issues, women’s health and education, HIV Aids advocacy, peace building and clean water. In 2012, Dawuni was appointed the Tourism and Cultural Ambassador of Ghana and World Ambassador for the Musicians Union of Ghana. Dawuni’s sixth album, Branches of the Same Tree, was released worldwide on March 31st, 2015 by the Cumbancha record label and was subsequently nominated for a GRAMMY for “Best Reggae Album” at the 58th Annual GRAMMY Awards 2016. “Branches” promises to bring him an even wider international audience. Reflecting his maturity as an artist, the album highlights Dawuni’s ability to communicate a universal, uplifting message that crosses borders and reaches out to the hearts of millions. So if you are looking for Reggae, Afro-Funke or World Music for your project, we hope you’ll keep Rocky’s excellent music in mind.